Our patients should not have a problem sleeping–it should be a simple solution. When it’s nighttime and you get tired, going to bed should be the least of our patients’ worries. However, when attention deficit disorder (ADD or ADHD) is in the picture, it can be even more difficult. Sleep apnea and other sleep disorders and ADHD have a significant connection. Patients with ADHD are more prone to sleep problems than anyone, and they often go undiagnosed. Sleep apnea, restless leg syndrome and even delayed sleep phase syndrome exacerbate ADHD symptoms. And, other times, patients might even be misdiagnosed with ADHD when they really have a sleep disorder. Sleep apnea can often mimic ADHD symptoms, which can cause inattentiveness and restlessness in those who do not have ADHD. At the same time, sleep apnea can also worsen symptoms in patients who do have ADHD. Before we dive into some tips to share with your patients, let’s look at primary and behavioral sleep problems. Primary sleep disorders are physical conditions that disrupt sleep. This would include sleep apnea. For behaviorally based sleep problems, it is linked to ADHD and are common in children who cannot make the transition to bedtime without commotion that ends up disrupting sleep. Remove all screens from the bedroom. If they remain, try to turn off all screens at least two hours before bedtime. Don’t do work in your bed. Avoid working in your bedroom. Review ADHD medications with their doctor. Establish a “winding down” routine before bedtime. These tips can potentially help patients with ADHD and sleep apnea, but the use of an oral appliance will significantly improve sleep as well. What other tips do you have for your patients that have worked? Managing diabetes requires a “day-in, day-out” effort to control the factors that affect blood sugar levels. And what might make it even more difficult to manage symptoms is if you suffer from obstructive sleep apnea. A study conducted by a team of scientists, including two professors at the West Virginia University School of Medicine, is working as part of a multi-center project sponsored by the National Institutes of Health. The team of researchers looked to assess what impact treating obstructive sleep apnea has on diabetes self-management. Let’s take a look at what impact treating OSA has on diabetes self-management for our patients. OSA is a common disease that is linked to a range of problems in patients with diabetes and those who do not suffer from this condition. From poor work performance to heart failure, sleep apnea is the reason behind many health conditions. It can even make patients with diabetes less sensitive to their insulin. In a recent study, researchers split patients in half. One half used a CPAP machine to treat their sleep apnea, while the other half used a mock CPAP machine that looks and feels like a regular machine, but does not impart any of its benefits. Throughout the study patients also underwent periodic blood sugar checks. While the study has not concluded yet, researchers are hopeful that treatment of sleep apnea will help improve diabetes self-management in their patients. 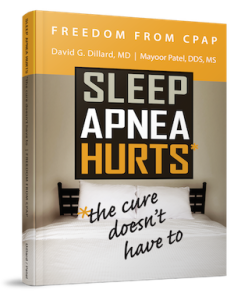 If the study does show that using CPAP machines improves blood sugar control in patients with diabetes and sleep apnea, there will be no reason why we should not screen more of our patients with diabetes for OSA. If a patient has been diagnosed with sleep apnea, physicians can persuade them to use CPAP machines regularly. This can work with oral appliances too. Patients with diabetes struggle so much with their sugar levels. This study can provide some relief knowing there is another option to help improve their health. I know this study doesn’t focus on oral appliances. But should look to oral appliance therapy as a safe alternative to CPAP for our patients.